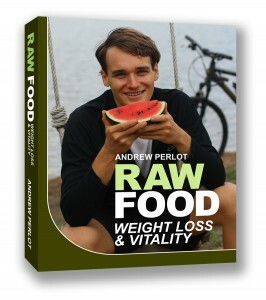 I wanted to let you know that Raw Food Weight Launch And Vitality is now available for purchase in print and ebook formats. If you just want to cut to the chase and buy the book, you can use the add to cart buttons below. $19.00 - Ebook Edition Instant DownloadFull book in .pdf, .mobi, and .epub formats, which can be viewed on most computers, tablets, e-readers, phones, and electronic devices.Including: PC, MAC, Amazon Kindle, iPad, iPhone, iPod Touch, ILiad, Sony Reader, Kobo E-Reader, Barnes & Noble Nook, Most Blackberry phones, and many others. $29.00 - Print Edition Shipped Directly To YouThe printed version of Raw Food Weight Loss And Vitality consists of a 316 page 8" x 10" softcover book. The interior is black and white.Books generally ship within 48 hours. Shipping rates and times vary depending on destination country. But I also wanted to let you know about the fast action bonuses I'm giving away (to people who KNOW for sure that they want to lose weight, improve their health, and just feel a hell of a lot better, and who are willing to get off the fence and get started). The first 100 people who purchase my new book will also receive a copy of its companion volume, "The Raw Food Lifestyle," an ebook that covers the important aspects of living outside of diet which so drastically effect our health and happiness on this planet. The first 25 people to purchase get everything the first 100 do, plus my ebook, "Savory Raw Dressings And Sauces," a pdf which helps people overcomes one of the major problems raw foodists face: how to replace the fatty, unhealthy, oil-laden dressings most people use to add flavor to their salads with something that's actually good for them, but still very tasty. In the ebook I teach you how to make delicious low-fat dressings and sauces using only whole fruits, vegetables, and herbs. Savory Raw Dressings And Sauces normally sells for $10. The first 5 people get everything the first 25 buyers receive, plus a, free "save your loved one pass". Got a mom, child, brother, or best friend who needs to lose weight, or whose health is suffering because they just can't seem to get their diet on track? Throw them a life preserver. If you're among the first five to buy, after you make your purchase I'll contact you to get your loved one's name and email. I'll write them a message letting them know that you cared enough to help them out, and I'll send them a free ebook copy of Raw Food Weight Loss And Vitality at no extra cost to you. Get everything the first five purchasers get, plus a 1 hour coaching consultation with me. I'll answer whatever questions you may have and help you get on a raw food diet that will change your life. A one hour coaching session normally costs $65. So, the first person to buy spends either $19.99 for the ebook version or $29.99 for the print version and gets a whopping $114.98 of extra value. Not too shabby, eh? Get your copy or Raw Food Weight Loss And Vitality And Your Free Fast-Action Bonuses Here.